The government of Belgium is considering a proposal that would allow parents to have their dead fetuses recognized if they are born before viability. It was presented to the Council of Ministers as an avant-projet de loi [i.e. a "pre-bill" that is presented to ministers before being tabled in the legislature]. The bill would recognize babies born between the 140th and the 179th day of conception. [What if you're born on day 139? But whatever..] A "Certificate of declation of fetus born without life" would be issued if one of the parents requested it. It would record the date of delivery, the mother's place of residence, and, where paternity is acknowledged, the name of the father. The parents may also have the baby's name(s) inscribed. The proposal also includes the possibility of parents who lost babies in the past of receiving this certificate, but there is no consensus on how far back it should go, i.e. the cut off year. 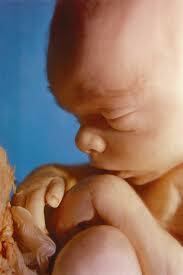 The bill specifies that nothing would change as far as the legal status of the fetus. It is merely an official recognition of the state that the baby existed, and its stated purpose is to help families mourn their loss.